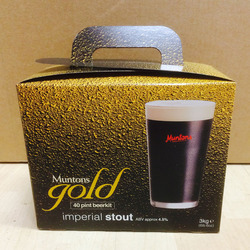 Truly classic beer, with its full body, rich black colour and distinctive dry bitterness. Capped by a smooth, creamy head, it is a brew to be savoured. Estimated ABV 4.5%.